The Fits releases theatrically on June 3 and recently screened at New Directors/New Films. 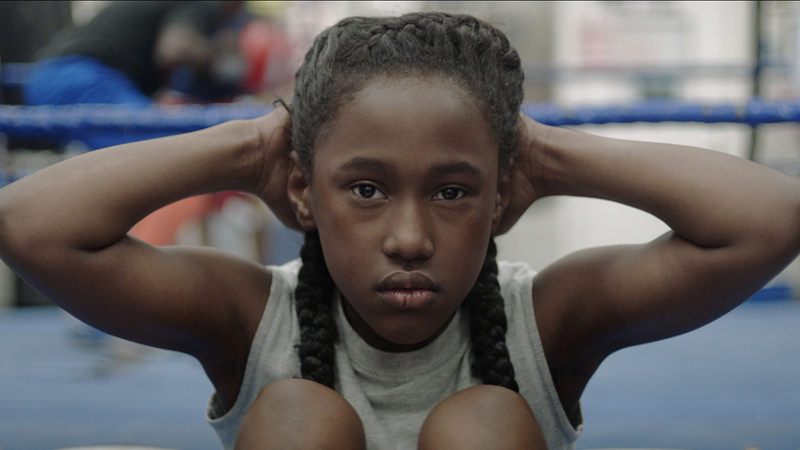 Anna Rose Holmer’s directorial debut, The Fits, shows great promise for both its director and young cast. The film follows a tomboy, Toni (Royalty Hightower), who joins her small town’s dance troupe. One by one, though, the girls in the troupe begin to be affected by The Fits, which causes them to lost control of their bodies for a short period of time. Holmer has a unique vision for her film and has complete control over it. With director of photography Paul Yee’s steady hand and crisp shot composition, Holmer creates a film that’s both smooth and calm, yet troubling. The dance sequences pop off of the screen, so does the film’s climax, which is exhilarating. Holmer guides her actors very well and in turn gets a strong lead performance from Royalty Hightower. Danny Bensi and Saunder Juriaans’ (The Gift, Enemy, Martha Marcy May Marlene) typically eerie score adds texture to the subtly uncomfortable tone of the film, and Saela Davis’ editing keeps the film moving at a controlled pace. The Fits from greatness, though, due to its ambiguity. It’s never explained why The Fits happen and there isn’t a lot to grasp onto narratively in the film. The Fits is so intriguing but it sets up more than it pays off, which makes it ultimately unsatisfying. Overall, The Fits is a good film and an exciting calling card from a director who has the potential to go on to have a nice career. Holmer’s voice is unique enough to make me want to see more from her, but I hope that she relies more heavily on concrete story next time. The Fits is not going to be everyone’s cup of tea, but for those who like their films a bit more experimental in nature, this is going to be well-worth the time.